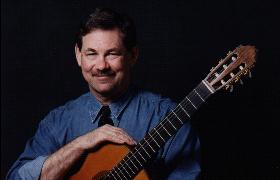 Frank Longay, classical guitarist and educator, is a founding member and chairman of both the Guitar Committee of the International Suzuki Association and the Guitar Committee for the Suzuki Association of the Americas. He has studied with Rey de la Torre and George Sakellariou. His efforts have distinguished him as an internationally recognized music educator. He has performed and conducted teacher development courses and children's workshops on numerous occasions in Australia, several countries in South America and Europe and across the United States. His students have won prestigious awards including the Bay Area Unicef Concerts and the Junior Bach Festivals. He has been featured in articles in Suzuki World, the American Suzuki Journal, Soundboard (the journal for the Guitar Foundation of America) and in an interview for Acoustic Guitar Magazine. For his dedication to the development of Suzuki Guitar School™ and the creation of the Longay Conservatory of Guitar, Mr. Longay has been honored as a 2006 recipient of the distinguished Creating Learning Community award presented by the Suzuki Association of the Americas. Robert Miller has received numerous masters degrees in Guitar Specialization, Music Performance and Chamber Music Specialization in Belgium as well as a masters degree in Guitar Performance at the famous Eastman School of Music. He has studied with a number of world renowned teachers including Dr. Pablo Cohen of Ithaca College, Raphaella Smits of the Lemmensinstituut, Belgium and Dr. Nicholas Goluses of Eastman. He has received numerous scholarships and awards including Belgian American Educational Foundation Fellowship (2008 – 2009), Graduate Scholarship Award (2006 – 2008), Fred L. Emerson Endowed Scholar (2005 – 2006), Louis Armstrong Jazz Award (2006) and many others. He has trained in Suzuki with Andrea Canon will continue his apprenticeship in Suzuki Guitar pedagogy with Mr. Longay at the conservatory. “Robert Miller was my student at Eastman for his Master of Music degree. He is a serious, committed student (I understand that he has achieved straight As at Eastman). As a classical guitarist, Mr. Miller has developed a refined and powerful technique and a sophisticated sense of style and artistry. I am sure that he will always pursue the highest levels of artistic expression and guitarism. He is rare still, as he is a very fine jazz guitarist as well. “In addition, he has developed into a highly effective and inspiring teacher. He has also given masterclasses for Buffalo Guitar Society. “From the first few weeks the progress David made was unbelievable and he fell in love with classical guitar. Robert was quickly able to correct basics such as posture and hand position, helped David organize how he practiced and worked carefully to develop technique. “One of his greatest strengths was the depth of Robert’s musicality, and the possibilities of phrasing, tone and dynamics that were possible in a piece. Robert was able to challenge David to tackle difficulties and inspire him to practice and play to the best of his ability. Chris Mallet and Robert Miller have formed an outstanding duo, performing throughout the bay area. Take a look at their video performance of Lo Que Vendra by Astor Piazzolla. “Robert is a remarkable teacher who instills creativity and musicianship through his instructions. In a short span, Robert has elevated Vidit’s music on an exponential scale. He has a great personality to engage the kids and work with them painstakingly in making them understand the finer details and techniques. With Robert learning the piece of music doesn’t end at learning the notes, he takes it to the point where the music becomes a true expression of an artist. Robert’s playing is precise, powerful and exciting to listen to. We are very pleased to be able to welcome Robert as a new member of the LCG family. Christopher Mallett is gaining recognition as one of America’s promising up and coming classical guitarists whose style has been called “Mesmerizing” by the Oberlin Review. Christopher began playing guitar at the age of 13. Since then, he has earned a Bachelor’s Degree from the Oberlin Conservatory of Music where he studied with Stephen Aron and a Master’s Degree from the Yale University School of Music under the guidance of Benjamin Verdery on a full–tuition scholarship. Christopher has played in some of America’s finest concert halls including, the 92nd St. Y in New York, Raitt Recital Hall at Pepperdine, Sprague Hall at Yale, Kulas Hall at Oberlin and at the NYC Times Center as part of a fundraiser for the Macdowell Colony. He has performed as a soloist with the American Wind Symphony Orchestra under the baton of Robert Boudreau, the Grossmont Symphony Orchestra and recently performed with the New Britain Symphony under the baton of the late Maestro Jesse Levine. He has also performed in master classes with many of world’s leading artists including Christopher Parkening, David Russell, Dusan Bogdanovic, The Los Angeles Guitar Quartet, Seymour Bernstein and Ricardo Cobo. 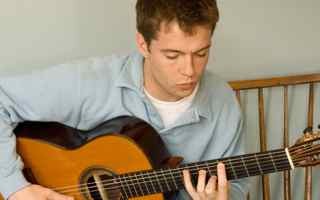 A dedicated teacher, Christopher started a successful classical guitar program in San Diego at the Salvation Army Ray and Joan Kroc Center for the Performing Arts. 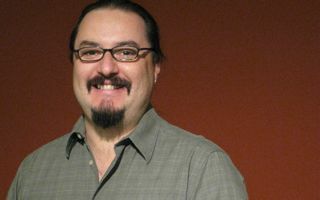 In 2008, he founded the guitar program at John Daniels Middle School in New Haven. His students have gone on to win major competitions. 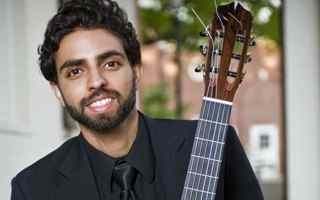 Christopher has been Awarded Several prizes including the Eliot Fisk Prize for “outstanding guitarist” from Yale University, the Alumni Ventures Grant from Yale University, the Conservatory Dean’s Scholarship from Oberlin, and, as part of the Oberlin Guitar Duo, received top Prize in the International Guitar Chamber Competition in Brownsville Texas. Take a look at Mr. Mallett’s personal web–site for more about this dedicated artist. Mason Fish received his Bachelor’s degree as well as a performance certificate from the Eastman School of Music where he studied with renowned guitarist, Nicholas Goluses. 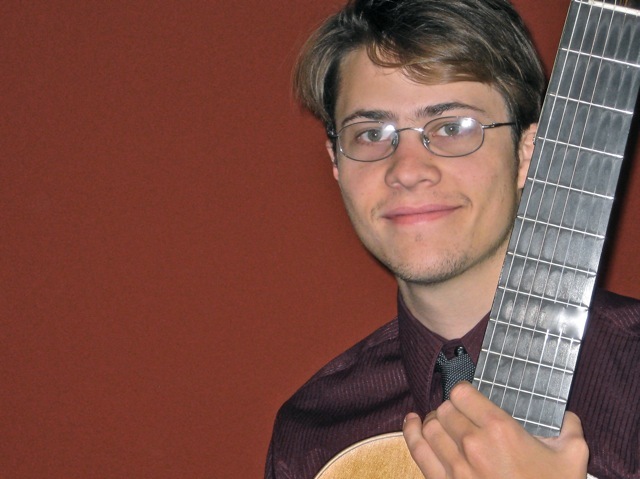 Mason is currently pursuing his Master’s degree in music performance at the San Francisco Conservatory of Music with Grammy award–winning classical guitarist Sergio Assad. 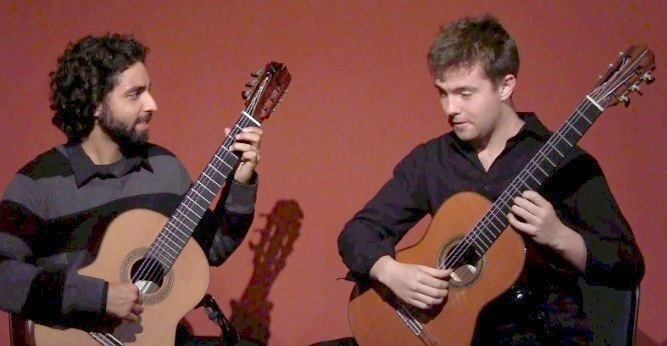 In 2007, a recording of his from National Public Radio’s From the Top was featured in the HBO documentary “The Gates” by Antonio Ferrera and in 2008 Mason won the Eastman Guitar Concerto Competition which followed with a performance of Manuel Ponce’s Concierto Del Sur. Winner of 2004, 2005 Outstanding Achievement Award in Performing Arts by Woodland Joint Unified School District Board of Trustees. Mason has participated in the Aspen Music Festival and School as well as the National Guitar Workshop in Connecticut taking masterclasses with many different artists including the LAGQ, Roland Dyens, Sharon Isbin, Eliot Fisk, David Russell, and Paul Odette. More recently, Mason has become active in San Francisco’s new music scene performing new works with the San Francisco Guitar Quartet and collaborating with several bay area composers. Take a look at Mason’s video segment featuring his performance of a cadenza from Ponce’s Concierto del Sur. Or go to the youTube site. Excellent! Take a look at Mason’s personal web–site for more news. Sean Mendelson is our new Music Together® teacher. Sean is a very popular teacher and his classes fill up quickly. As a 3rd grader walking through an ordinary day, Sean discovered the power of music — the sound of guitar drew him to a room where a friend was taking a lesson, and from that time forward Sean never put his guitar down. At Santa Clara University he majored in Music and Communications, where he studied classical/jazz guitar, promoted open mics, and played in the jazz ensemble and choir. Sean’s greatest passion is songwriting. While a student he wrote scores for two films: a documentary on Willie Mays and a film about a current teaching method. He has also written the musical score for a pre–natal yoga DVD. More than eight years ago Sean was performing in Redwood City when he chanced upon a poster for Music Together classes; he has been teaching Music Together® ever since and cannot think of a more fulfilling job. At home Sean engages his baby, Logan, in musical play, which in turn keeps his classes fresh and fun! 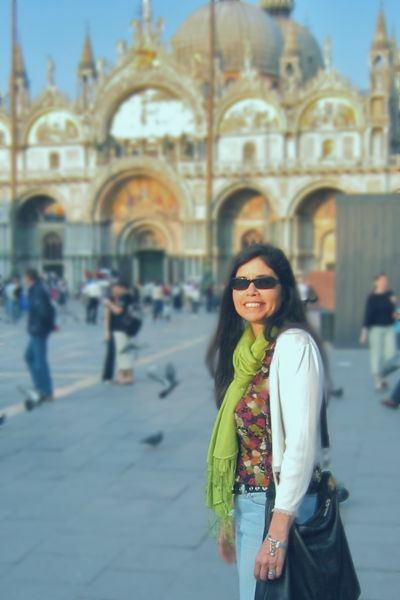 Chris Pratorius is a pianist, composer, music educator and accompanist who works throughout the Bay Area. He received both his B.A. and M.A. from UCSC and has lived in Santa Cruz for almost 20 years. Chris’s works have been performed in Istanbul, New York, Boston, Manitoba, New Haven, Minneapolis, San Francisco, Omaha, Annandale VA, Tempe AZ, Guatemala and in the greater Santa Cruz area. In addition to composing, he has taught private students, group lessons and at UCSC as a lecturer in theory, musicianship, ear training, music literature and piano. Currently Chris is Staff Accompanist at The Studio, School of Classical Ballet in Soquel, California. Kim Buller has been a Suzuki mother for 9 years. She has taught dance for more than 10 years to young girls and performed in the tradition of Isadora Duncan with the dance company, Winged Victory, in the Bay Area and Russia. She has been involved in the healing arts as a massage therapist for 25 years. Her hobbies include skiing, yoga, hiking and traveling. All material at this Web Site is copyrighted. Duplication of any part of this material, in any form, is strictly forbidden.